Sorry not the way I like to set it up but been a busy day so I have not had time to sort things out. Edited 2 time(s). Last edit at 03/11/2017 18:45 by Badge32. Subs: Norris, Hause, Price, Vinagre, Marshall, Costa, Enobakhare. Edited 1 time(s). Last edit at 31/10/2017 19:37 by Badge32. Norwich have won each of their last four home league matches against Wolves, netting 12 goals in those games. Wolves have only won once in their last nine league meetings with the Canaries (D3 L5), a 1-0 win on the opening day of the 2014/15 season. Diogo Jota has won eight points for Wolves this season with his seven league goals - Only Billy Sharp has won more points for his side (10). Angus Gunn has kept seven clean sheets for Norwich in the Championship so far this season, more than any other keeper in the league. Leo Bonatini has been directly involved in 12 league goals so far this campaign (8 goals, 4 assists), three more than any other player in the Championship - He is currently the Championships joint top goal scorer (8 - also Bobby Reid and Jarrod Bowen). Not sure Ivy. He had a nasty clash of heads with Coady during Saturday's match - whether that has contributed isn't clear. Not injured according to E&S. 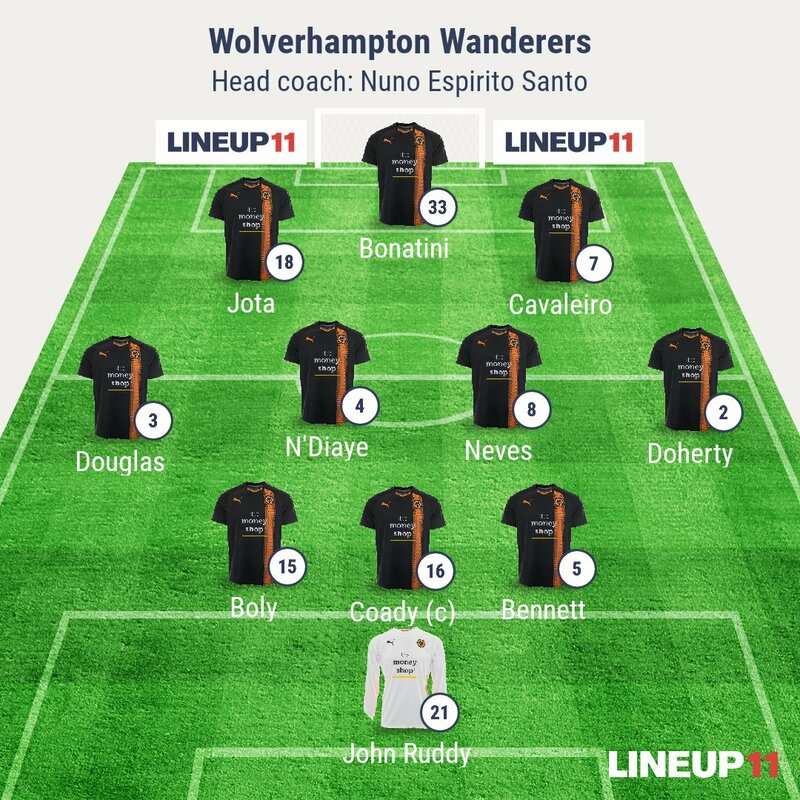 Nuno just changing things. Not overly surprised Miranda has been left out but surprised about Batth. A minor detail I know, but I don't usually like black strips but I do like this one. We have a pernicketty referee tonight blowing up at any opportunity. Wolves put some pressure on and had a few corners which Boly finds himself unmarked to score. Tony Cottee says Wolves are dominating so far.